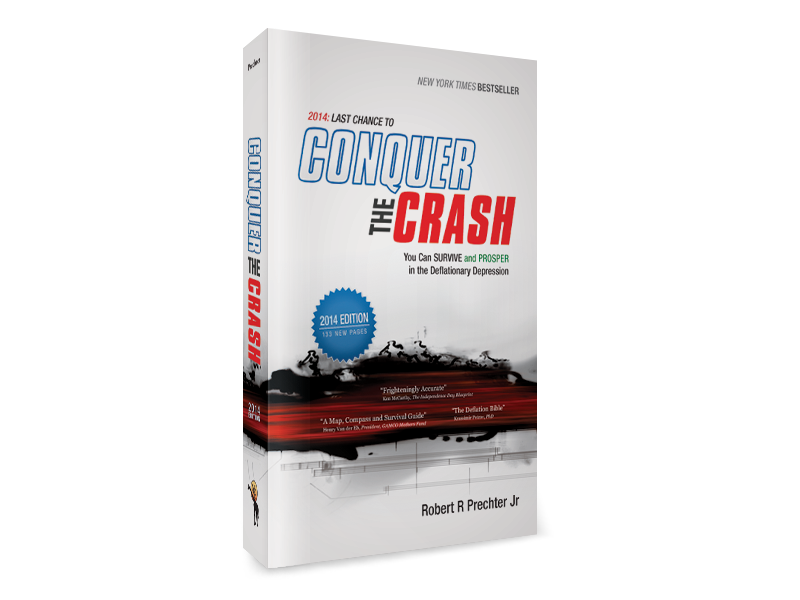 Conquer the Crash foresaw and explained today’s financial and economic tribulations years in advance. More than 100,000 people read the New York Times bestseller in time to protect their wealth. But only some of the future has caught up with the forecasts in the first edition. The doors to financial safety are closing, and prudent people must act while they can. That’s why author Robert Prechter chose to release Conquer the Crash, 2014 Edition, which includes ALL of the prescient material from the first edition published in 2002, plus 188 new pages.